This show toyed with restriction, addiction and role reversal. To set the mood the music was haunting, as I emerged bound and almost immobile. 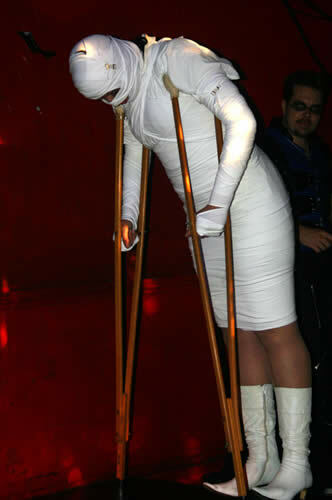 As the show progressed, my bindings were removed and I became the patient. In a ‘Fever’ fuelled frenzy, from patient I became the nurse. This show was performed at Hellfire in Feb 2005, Gurlesque (Sydney) and Dragkings in Melbourne.